This past weekend (24th-27th Aug) we welcomed Rachel, Ross, Eilidh, Heather, Jess, Nathan, Anah, Ken, Calvin and Sam on our annual GO Team. This year's team consisted of ten people - five from Scotland and five from Ireland! Six of them were here last year, and two were doing their very first team! We also had Jude around as an honorary team member! 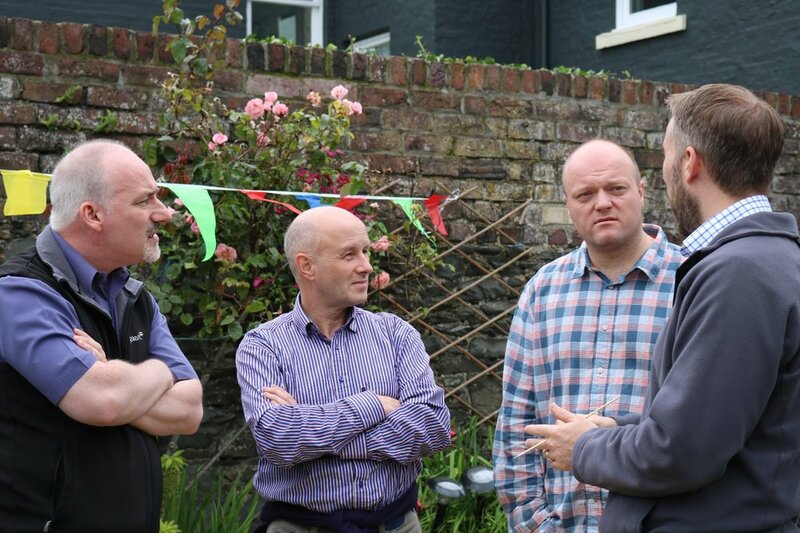 The main work of the team was to organise our Family Fun Day, but we fitted in a few other things when they were here, starting with a viewing of the movie 'Calvinist' with some of the congregation on Friday night. The team joined the congregation for the prayer meeting and worship on the Lord's Day morning, followed by a church lunch. The inscription reads: HERE LYES JAMES AND ROBERT DUNS, THOMAS AND JOHN STEVENSONS, JAMES McCLIVE ANDREU McCALL WHO WERE SURPRISED AT PRAYER IN THIS HOUSE BY COLONELL DOUGLAS LIEVTENANT LIVINGSTON AND JAMES DOUGLAS, AND BY THEM MOST IMPIOVSLY AND CRUELLY MURTHER'D FOR THEIR ADHERANCE TO SCOTLAND'S REFORMATION COVENANTS NATIONAL AND SOLEMN LEAGUE 1685. The monument surrounding the gravestone was 'erected by the voluntary contributions of a congregation who waited on the ministrations of the Rev. Gavin Rowatt of Whithorn' on 19th August 1827. Rowatt, a son of the manse, was RP minister at Whithorn from 1826 until his death in 1832 - he was only 30 years old. After that, there was just time for a Chinese takeaway before the team members departed via boat, train and car. It was a memorable weekend for the congregation and we're grateful to the GO team for coming and serving so willingly. 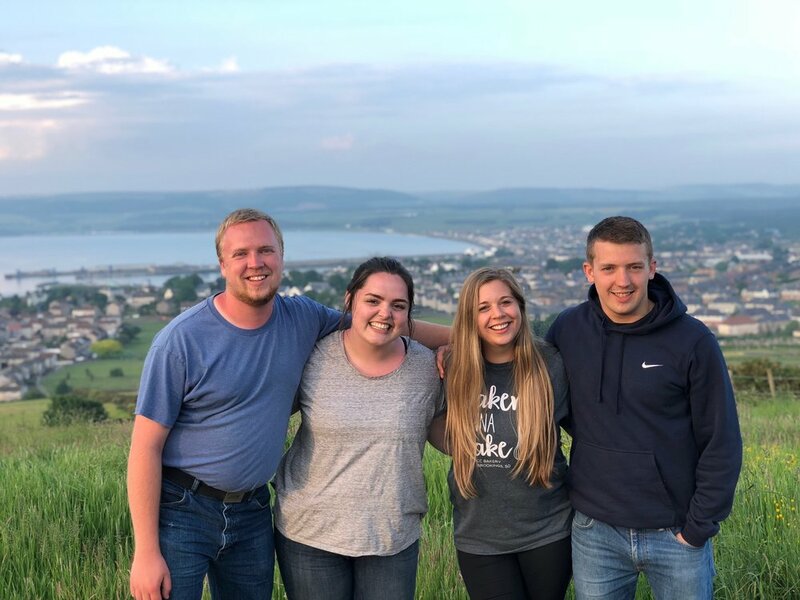 Why would a group of 20-somethings from Texas, Virginia and South Dakota take time off their jobs and spend part of their summer in Stranraer? That’s a question that some of our summer visitors from the States have been asked. In merely practical terms, the answer is quite simple. They’ve come to serve the church and the community. 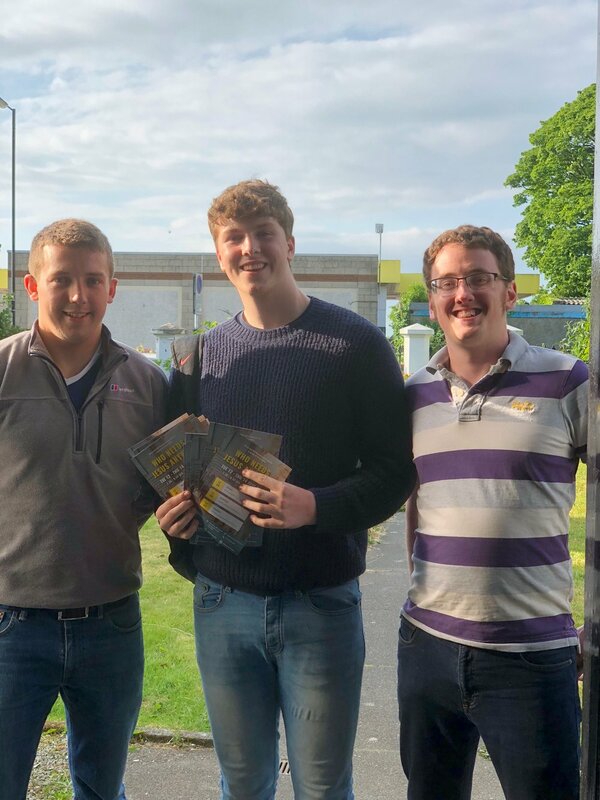 Since they arrived on Saturday, they’ve been giving out leaflets advertising special meetings we’re holding this week, spent some time with residents in retirement housing, carried out some practical work at Stair Park and helped some of our church members in practical ways. But why would they chose to do those things? They’re not getting paid – in fact, they had to pay their own way here. 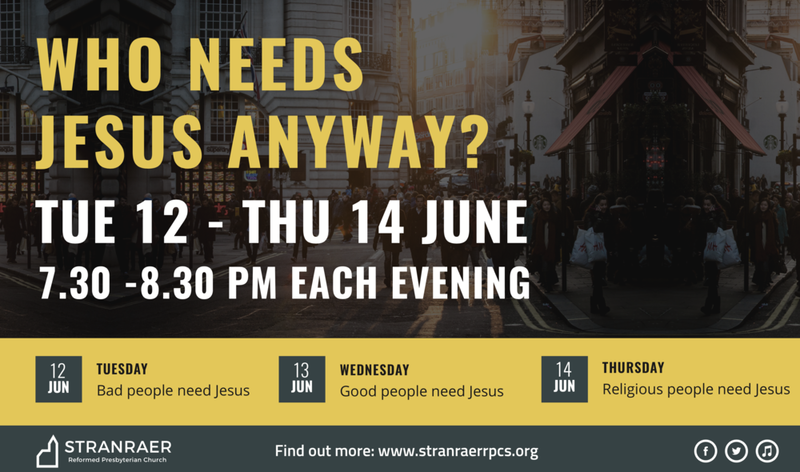 The real answer is that each of their lives has been transformed by Jesus Christ – and they want to see the lives of people in this community changed as well. Their vision is broader than simply helping a particular ‘brand’ of church. Only one of them is from a Reformed Presbyterian Church back home, yet they’ve come to serve a small congregation in a denomination most of them hadn’t heard of before – because they recognise that we’re all part of something bigger. The things we have in common as Bible-believing Christians are far more significant than the issues on which we differ. It’s easy to be cynical about naïve Americans – but some of them have been through experiences I wouldn’t wish on anyone. They’ve experienced more of the hardships of life than their sunny dispositions might suggest. Above all they’re here because they believe that everyone needs Jesus: bad people, good people and religious people. And in fact, those are the titles of the three meetings that we’ve been holding from Tuesday through Thursday this week. Come along and you can meet them and hear their stories yourself. But their great desire is that long after they’re back home and forgotten, the one story that our town will remember is that of the Son of God. 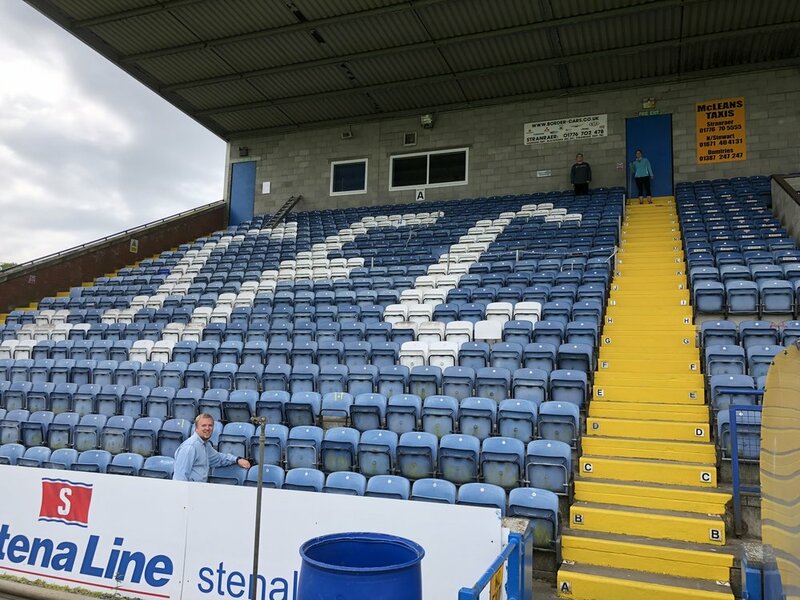 Our American friends may have come from somewhere more glamorous to Stranraer, but he came from Heaven to earth. He lived a life of perfect obedience to God and then went to the cross to face God’s wrath for our disobedience. We may hear a lot on the news about our visitors’ President – but they’re far more eager to talk about their King. Published in the Stranraer and Wigtownshire Free Press, 14th June 2018. The last weekend of August was an encouraging time for us as a congregation. With the help of an RP GO Team (short term mission team) we ran our first ever church family weekend! 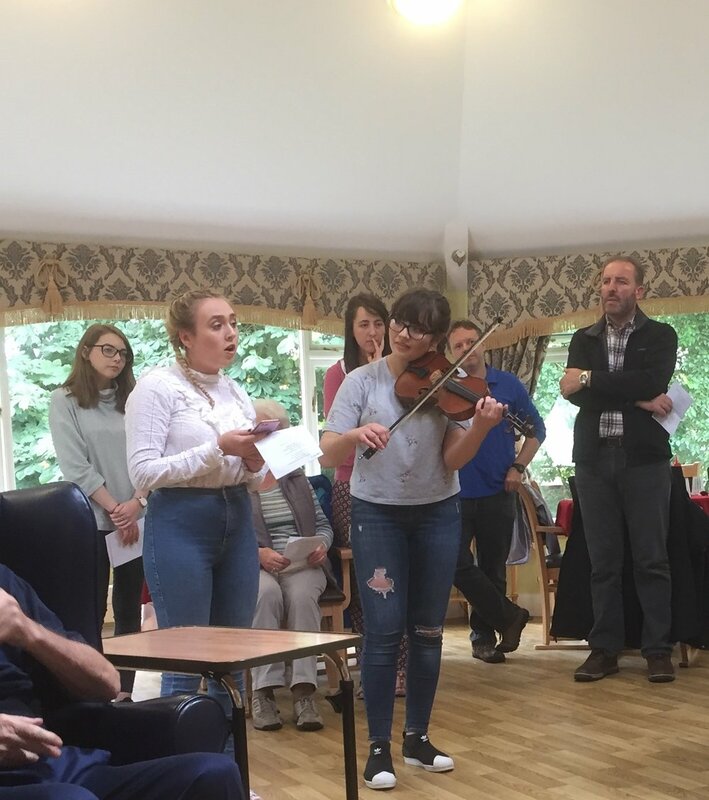 The team arrived on the Friday afternoon and went to Belmont Care Home where the team entertained the residents and then we introduced and sang a few psalms. On the Friday night, we watched a new documentary on Martin Luther that's been produced to celebrate 500 years since the Reformation began. We invited some of the local churches to come on the Saturday and we started off the morning with coffee and scones. Ken Nelson, an elder in Trinity RP Church and part of the GO Team, shared his story of trusting God in the wake of a brain aneurysm. During his talk, the GO Team put on a programme of activities for the children, with a talk, craft etc. In the afternoon, we were joined by some friends from Ayr Free Church Continuing for a Kids' Fun Afternoon with bouncy castle, candy floss makers, popcorn maker etc. 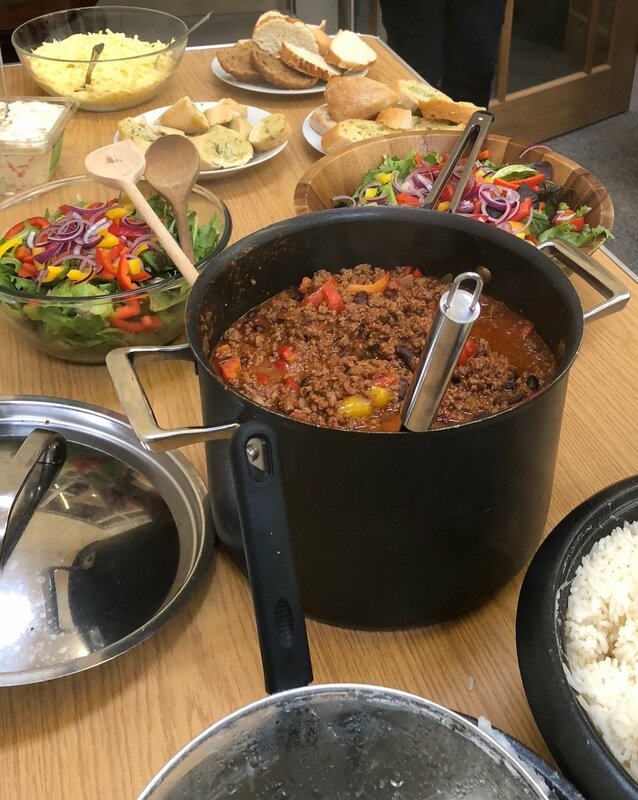 We finished things off with a church BBQ, and then some of the GO team helped the young people in the congregation to make desserts for the church lunch the next day. On the Lord's Day the team worshipped with the congregation and Stephen preached on the Bible's picture of the church as a family. After worship we had lunch together, and then the team visited Dalrymple Court (sheltered housing) to sing some psalms. 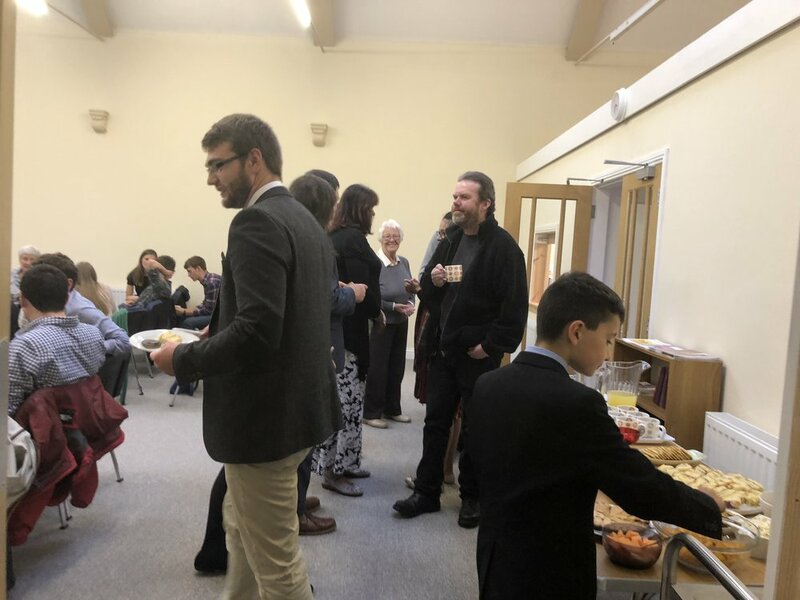 In the evening, Stephen began a new series on Galatians and the team joined the congregation for our usual post-service supper. 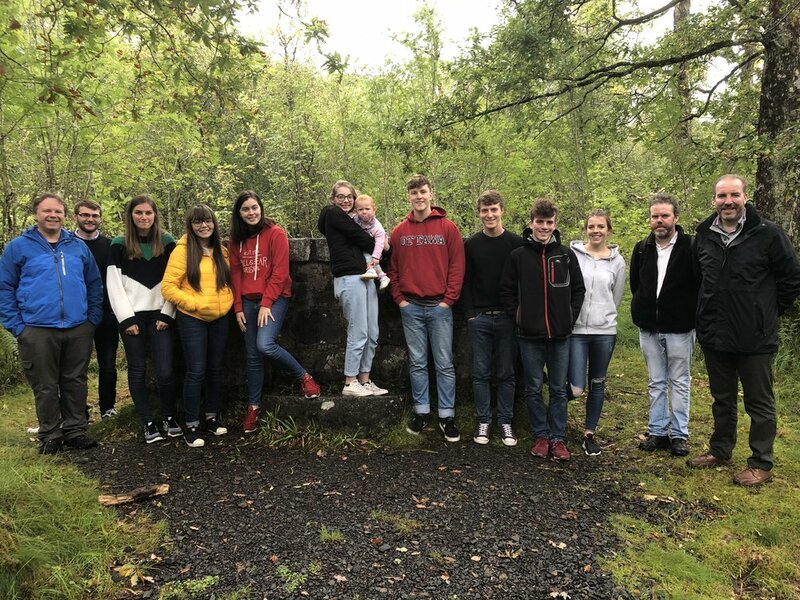 On Monday, we visited Covenanter sites in Wigtown, where the team also had the opportunity to visit the local secondhand bookshops and coffee shops in Scotland's National Book Town. We are grateful to God for a great weekend and a growing sense of fellowship among the congregation! 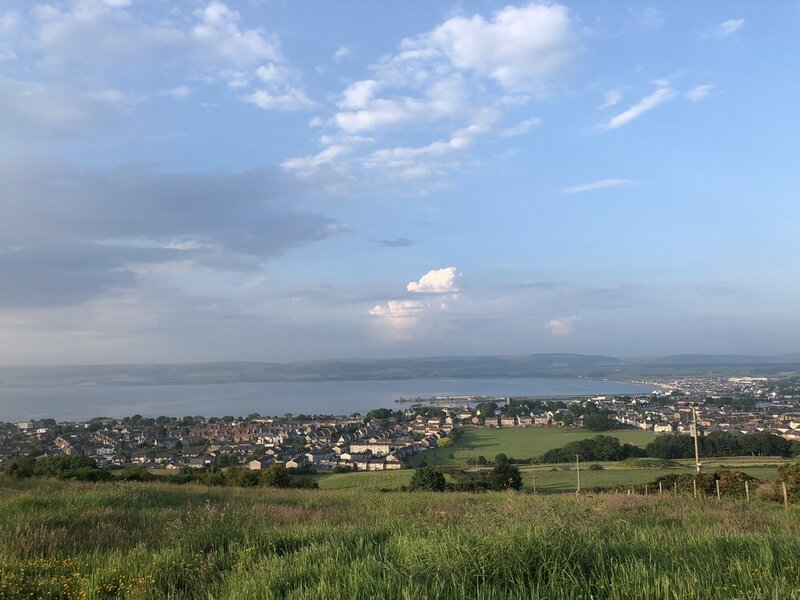 Having finished distributing leaflets to homes in Stranraer, the team did the villages of Castle Kennedy, Stoneykirk and Sandhead. In the afternoon two of the team came with Stephen to the Cafe N-Spire recovery cafe he helps out with - sadly the weather meant we weren't able to go fishing as planned, but it was still a good opportunity to chat to those there - and experience some Scottish culture! The rest of the team did practical work, such as getting the church hall ready for the first night of the mission and gardening. 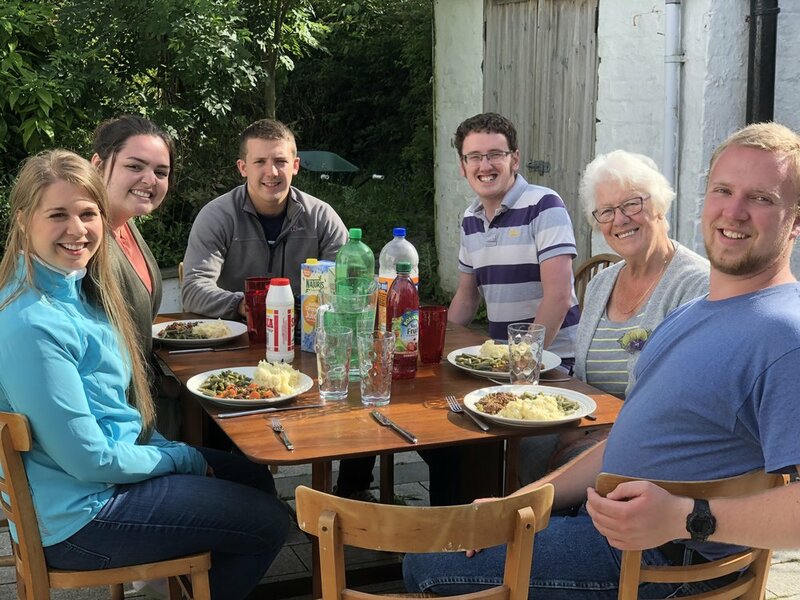 They then went to different peoples houses for dinner, before meeting back at the church hall in time for the first of our special services. 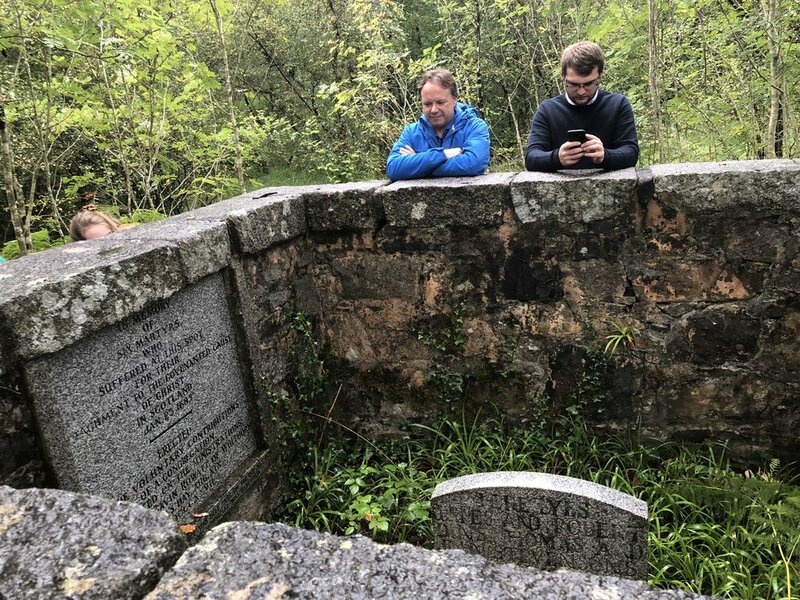 With the leaflets finished, the team had the opportunity to see some of the many sites around us associated with the Scottish Covenanters, the forerunners of the RP Church. We were thankful to the Baptist church for the use of their minibus, which meant we could go to Anwoth (where Samuel Rutherford preached about Jesus in the early 1600s) and then Wigtown (where the two Margarets were martyred for Jesus in the late 1600s). Again, the team members were divided between two different homes for dinner before the second night of the Mission. 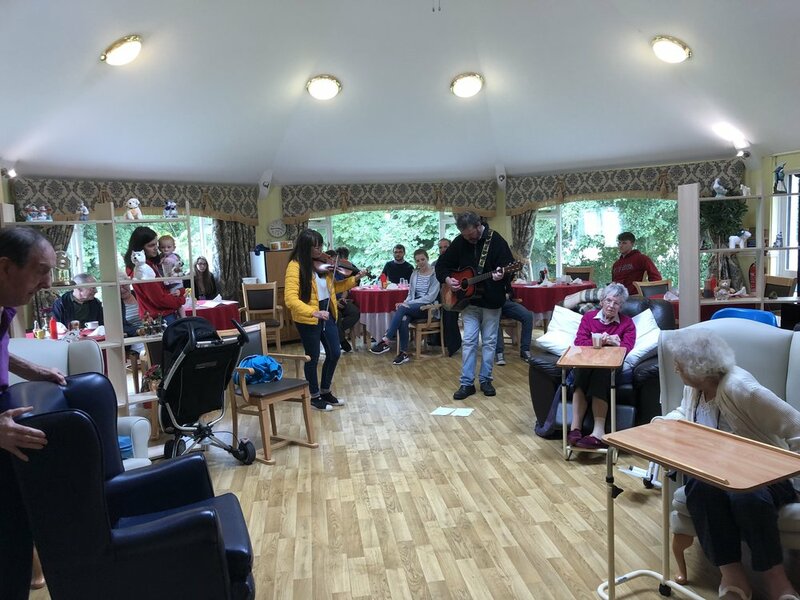 In the morning we practiced some songs that we were planning to sing at Belmont Care Home. On arrival however we found that because of illness to some residents, we wouldn't be able to perform. 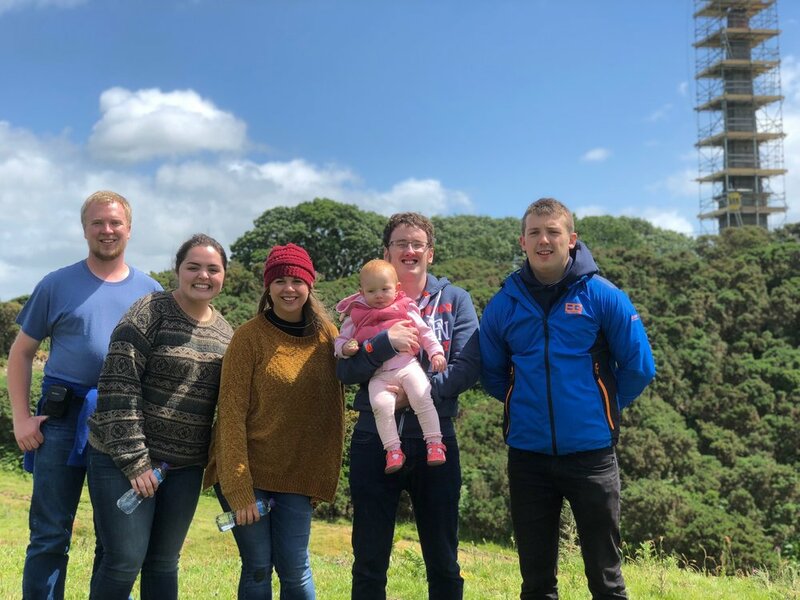 The weather meant we were unable to do any psalm singing in the town centre either, but it did give the team a chance to see round the Castle of St John in the middle of Stranraer. The Castle is also associated with the Covenanting era as government troops were stationed here during the 'Killing Times' in the 1680s. 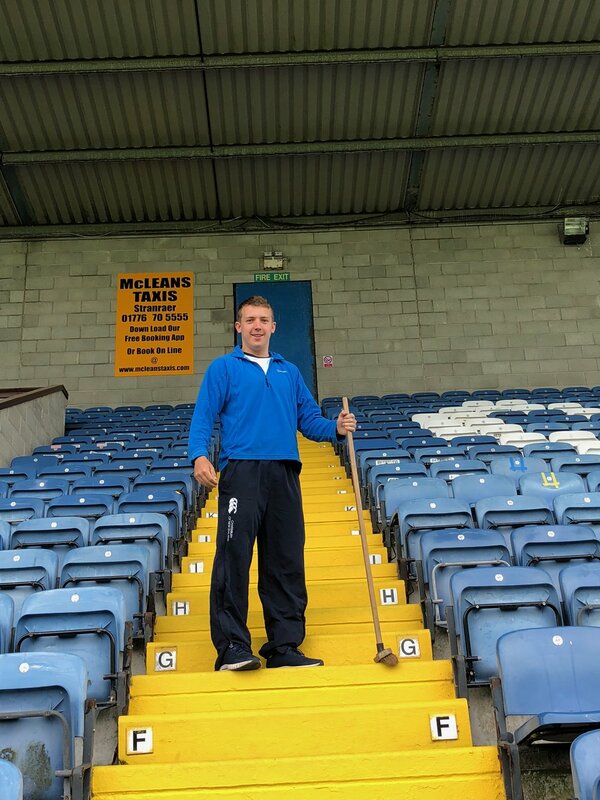 In the afternoon, the team cleaned seats at Stair Park, where Stephen serves as chaplain to Stranraer FC, in preparation for the new season. After having dinner together in Kirkcolm, the team attended the final of our three special services. Audio of all the talks is available here on our website and on iTunes. 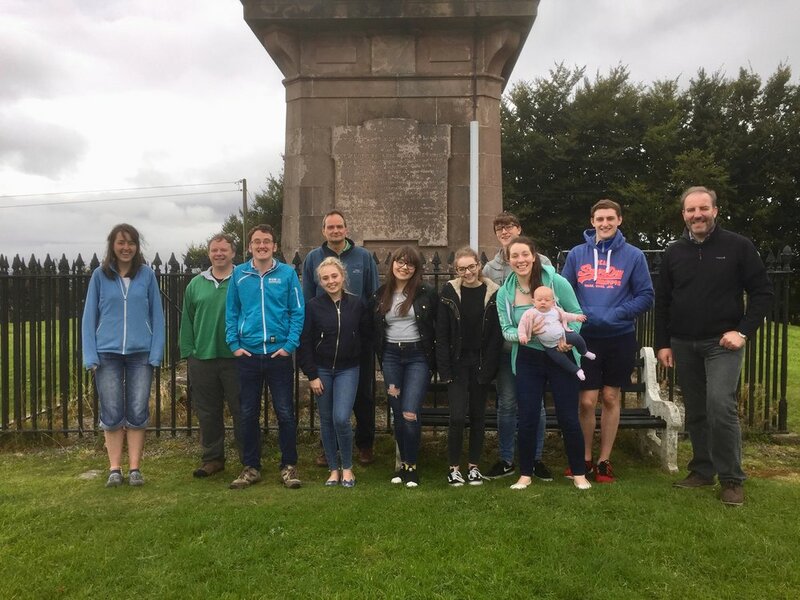 In the morning the team went to Galloway Forest Park and walked to the monument set up to mark the deaths of six Covenanter martyrs. The monument was originally set up by the Whithorn Reformed Presbyterian congregation during the ministry of Gavin Rowatt, who died at the young age of 30, six years after becoming a minister. In the afternoon the team attended the baptism of Willow Steele, before heading back to base with those who had come down from Airdrie for the baptism. We're thankful for all the work the team members did and pray that God will use it. We're also thankful for the opportunity to renew friendships from last year, and make new ones. The team came from many different places and churches, but in Christ there is far more that unites us than divides us.